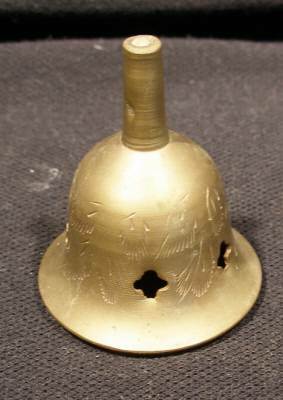 We are offering a brass bell. It measures about 2.5 inches in height. The bell is about 2 inches in diameter.